Yahya bin Said al- Jabri, Chairman of the Board of Directors of the Public Authority for Investment Promotion and Export Development (Ithraa), Chairman of the Board of Directors of the Special Economic Zone Authority in Duqm (SEZAD) affirmed that the Sultanate offers various opportunities to invest in various economic sectors. Speaking at the summit, which concluded today (January 20, 2019) in Ahmedabad, Yahya bin Said al- Jabri said that the summit provided a good opportunity for Indian companies to explore investment opportunities in the Sultanate. He hoped that the coming period will witness economic partnerships between the two sides, particularly with companies operating in the Indian State of Gujarat. The Sultanate is participating in the Vibrant Gujarat Global Summit and Exhibition 2019 with a delegation led by Yahya bin Said al- Jabri, Chairman of the Board of Directors of the Public Authority for Investment Promotion and Export Development (Ithraa), Chairman of the Board of Directors of the Special Economic Zone Authority in Duqm (SEZAD). The delegation includes a number of stakeholders from the public and private sectors including the Foreign Ministry, Ministry of Commerce and Industry, SEZAD, the State's Reserved Fund, Oman Oil Company, Duqm Port Company, Duqm Quarries Company, Duqm Oman Housing Company, Khimji Ramdas, and Oman Porcelain Company. 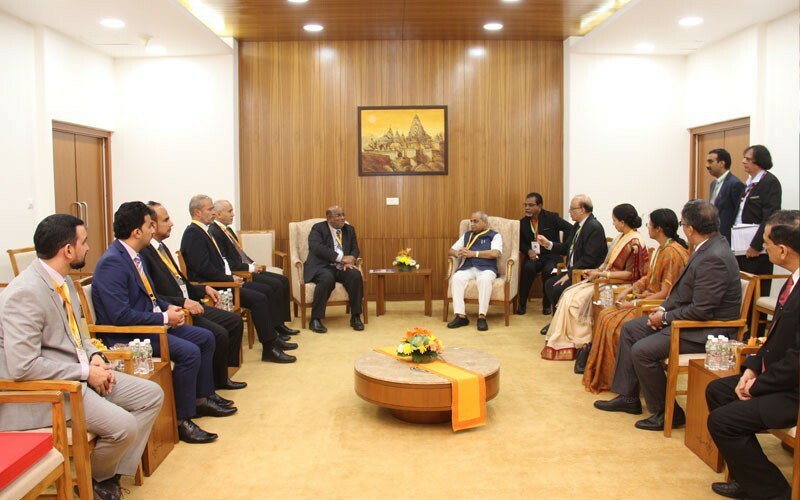 On January 20th, 2019, Nitin Patel, Deputy Chief Minister of the State of Gujarat received Yahya bin Said al- Jabri and his accompanying delegation. During the meeting, they stressed the importance of the economic relations between the Sultanate and India and the efforts of the two countries to develop them to serve the common objectives. In the same context, Yahya bin Said al- Jabri, discussed the activation of the memorandum of understanding signed by Oman Company for the Development of Special Economic Zone at A'Duqm (Tatweer) in 2017 with Adani Company for Ports and Economic Zones. This came during a visit to the company's site at the port of Mundra on the coast of the state of Gujarat India. Adani Ports and Special Economic Zone Ltd (APSEZ), the largest port company in India, manages Mundra Port, India's largest container terminal with 24 berths. The company operates in a number of infrastructure and industrial sectors with an investment of about $12 billion.